This tune has got to be the happiest one on the radio at the moment! I discovered that you can download a Take 40 app on your iphone for free, and then you can watch videos without any buffering (Dear computer, when are you going to stop doing that??) Just be sure not to do it without wi-fi or you'll be paying a fortune! Enjoy, and try not smiling while you listen to this fun song! Impossible! Makes me want to go camping in summer. 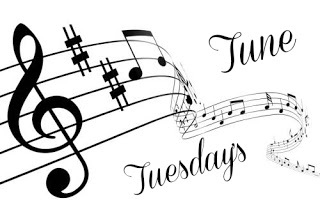 I'm linking up with Thea at A Snap A Set and A Song for Tuesday's Tune, because music brings happiness! Oh yeah!!! One of my favourites at the moment. GREAT song! So happy. I love that song!!! :-] Thanks for sharing!